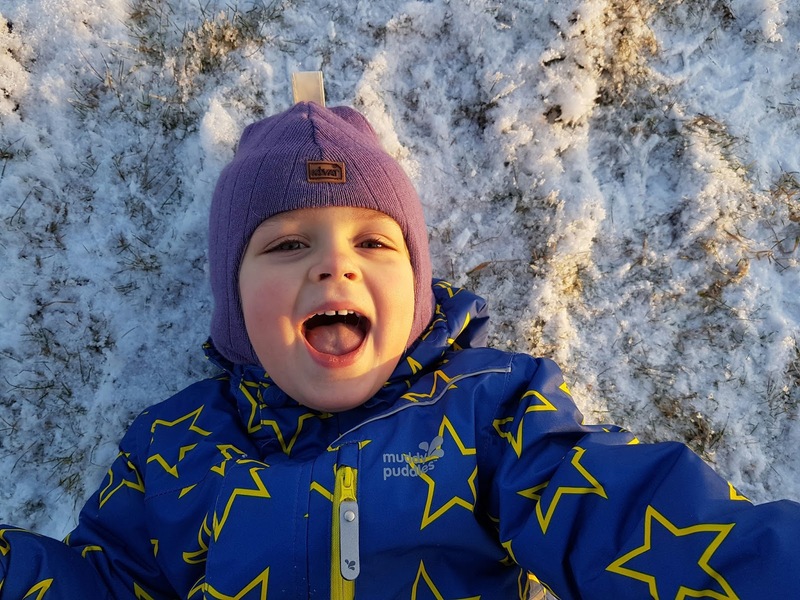 What did we think of the Muddy Puddles ski clothing for kids? 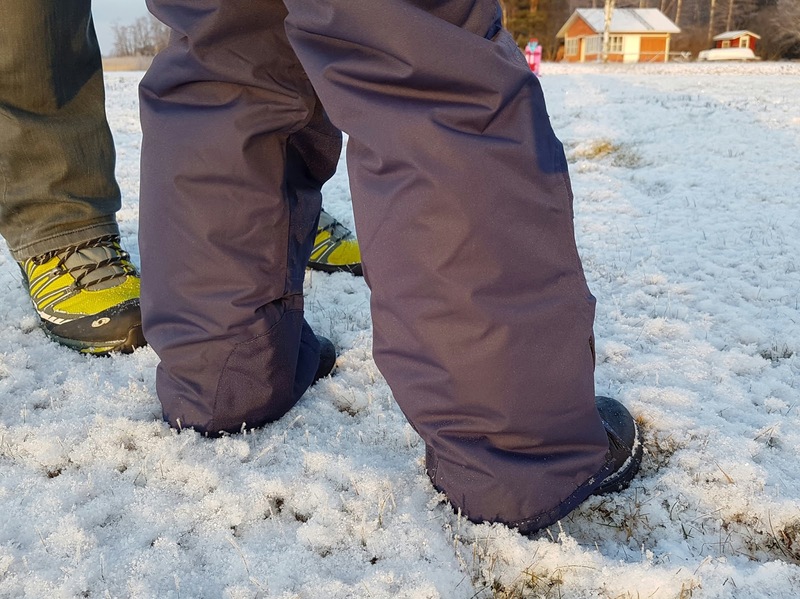 We tested the Muddly Puddles ski clothing for kids while in Finland over Christmas. 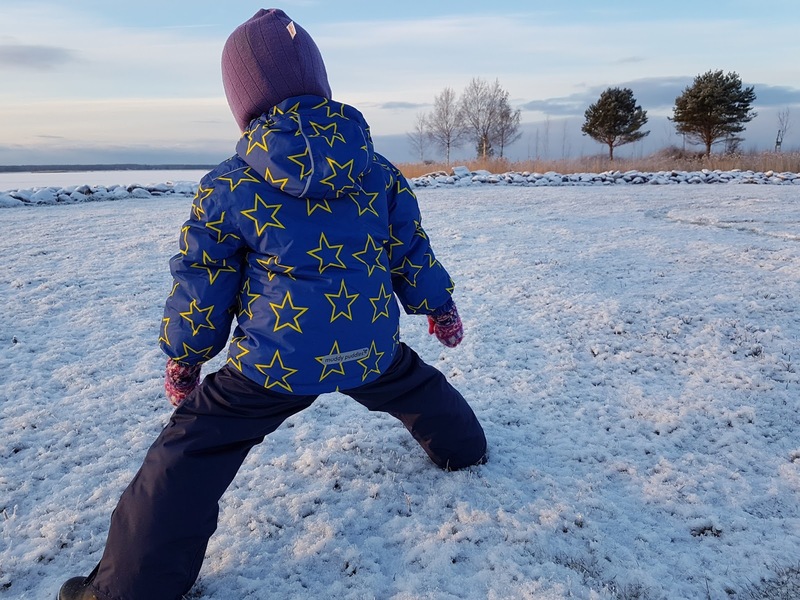 We got the Muddy Puddles Blizzard Salopettes and the Snowstorm ski jacket (Blue Star) kids ski wear for a review, and boy am I glad we got some ski gear for my child to wear. It was cold! 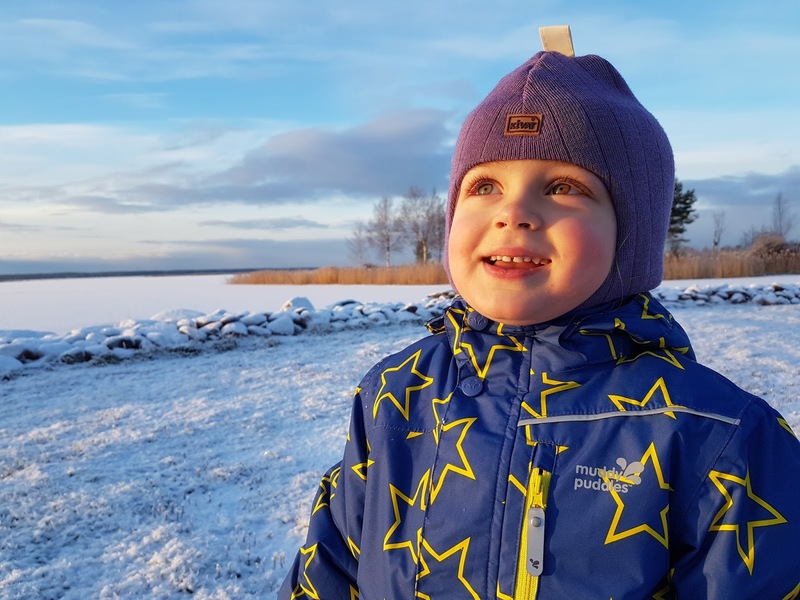 So we tested Muddy Puddles ski clothing in pretty harsh winter conditions - and by this I mean properly arctic conditions. We tested it in wet snow, and we tested it in sub-zero temperatures of up to -24 °C. 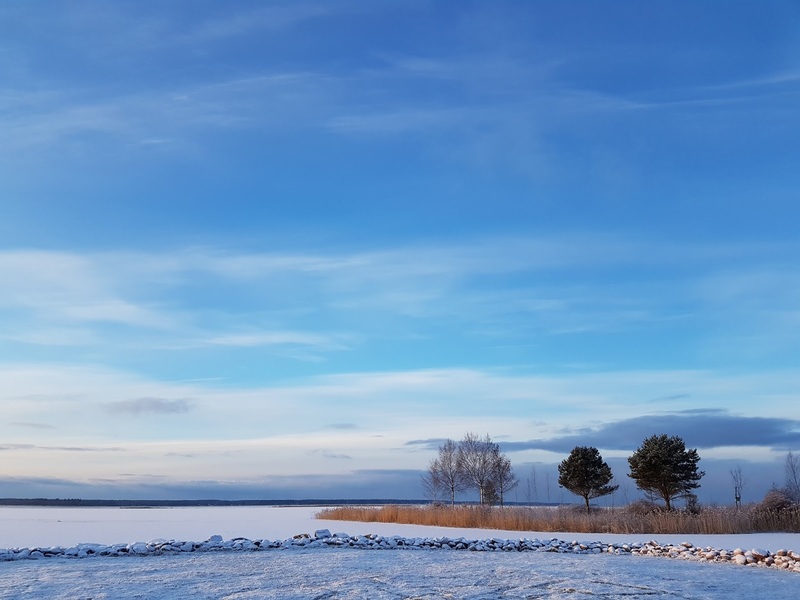 I was also quite excited about testing ski clothing as I have spent many a winters on the slopes, and in fact, pretty much lived a couple of seasons in ski gear so I know what to look out for and what works. The fit was perfect. I find my daughter is just about the medium size for her age, and the Muddy Puddles ski clothing fit her perfectly. The salopettes (Blizzard) were quite snug on the waist, so if your child is slightly bigger for their age (or has a big belly! ), go for the bigger size. I found that when we really packed on the clothing, the waist could be quite tight, but when the layers underneath were fairly thin, the waist fit very well. They were warm. They are slightly padded which makes them nice and toasty. 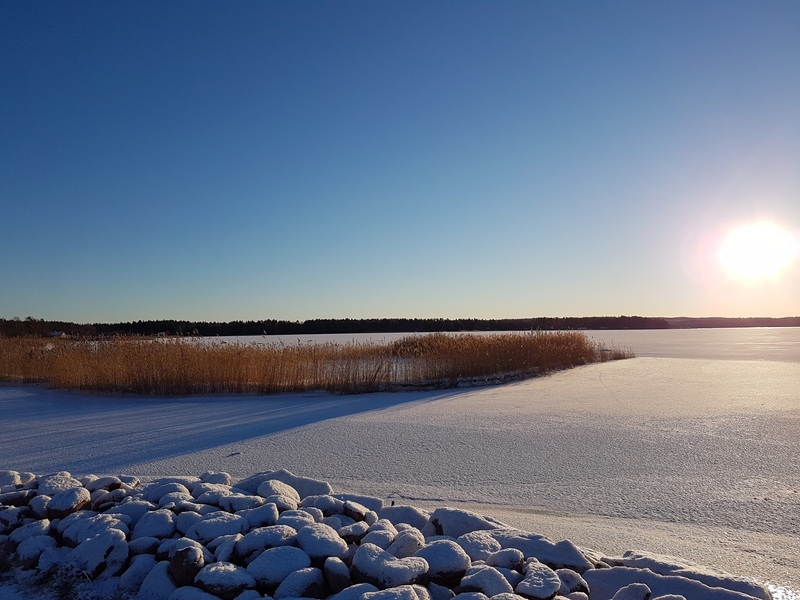 We kept on checking with my daughter how she was feeling, especially when we were in those properly freezing conditions (at some point it was -24 °C!). She never complained of cold on her body, just her toes and her cheeks. They were good quality. In my opinion they meet the technical needs for ski wear brilliantly - both the jacket (Snowstorm) and the salopettes (Blizzard) are waterproof (5000mm) and breathable (5000gsm) so perfect for playing in snow and skiing. For normal use, this is what you need,any higher is nice but non-essential. And like I mentioned above, Muddy Puddles ski clothing is also padded for extra warmth, but this isn't too thick so moving around is still easy. They are fully adjustable. Also, I really liked that both the Muddy Puddles salopettes and ski jacket were adjustable in many ways, from adjusting the fit to being able to remove some additional bits like snowskirts, suspenders and hoods. They are unisex. Well, I know my daughter loves pink and that is probably what we would have gone for... However I think the prints Muddy Puddles has chosen fit both genders well. And because Muddy Puddles is pretty much unisex in all of their ski wear, this will be perfect if we ever have a son in the future! So here is a bit more detail on the jacket and the salopettes and my thoughts on their individual features. Plenty of pockets and there is also a pull out ski pass holder! The hood and the snow skirt are removable which makes the jacket a little bit more flexible to wear. There are lots of adjustable features, like you can adjust the cuffs and remove the snow skirt and the hood. With this jacket I found the neck was a bit too tight for my daughter and came up a bit too high for her. She found it unfomfortable, so we couldn't zip it up completely. With proper layers underneath this wasn't an issue for warmth, but I would have preferred there to be a bit more room. I also liked that there were reflectors on this jacket - thin strips on the hood and a thin strip at the front, the zip pulls and the logo at the back. Great for dark weather, and you can always add more if you need to. Like I mentioned, quite a snug fit on the waist, so for chunkier kids definitely go for bigger sizes. There are reinforcements on the knees and bum, and also on the bottom of the inner leg (where ski boots often scuff) so these should be long-lasting. There is a zipper on the bottom of the outer leg, making it easier to dress on and fit chunky winter shoes and ski boots in, and of course snow gaitors too. I liked that you can also remove the suspenders if you want (although I would keep them on - they are really practical with kids!). Have you tried Muddy Puddles clothing before? All in one suits are great for the very young and thermal underwear and a decent padded jacket is good for older children. Thermal hats, scarves and mits too are a must and warm boots and socks too! For me dressing for the cold involves layering of clothing — so keep those hoodies and cardigans handy to do this. I always put two pairs of socks on them with one being wool. Thermal leggings with tight on underneath and socks on top, thermal tops with thick hoodies, hats, scarf and gloves! Always have the gloves on ropes threaded down the sleeves until they are least 16! Several thinner layers work well. 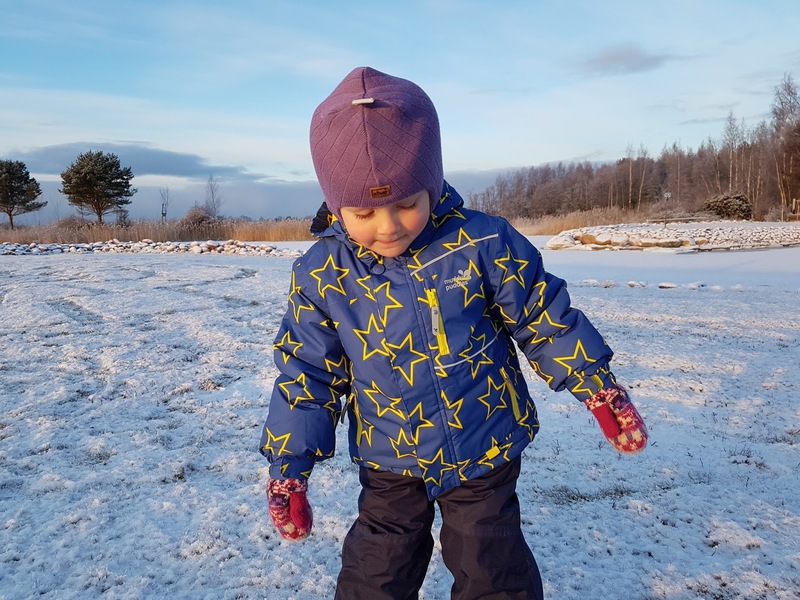 I love snowsuits - they are so warm and cosy! Keep them bundled up in layers with a warm woolly hat and thick jacket. I find that several thin layers work best! Lots of layers and make sure their head, feet and hands are well covered. With plenty of layers, and a good thick hat! Not excessively, but with an extra layer & a hat/gloves. pure wool vests are good. Hats, gloves, scarf. I usually let them choose their own when I buy them because then they do want to wear them. My daughter just had forest school this morning, so I went with layers. Double socks, lined trousers, 2 shirts, and waterproof outer layers. A warm hat and gloves or mittens are a must. When it's cold I like dressing my daughter in a balaclava. Monsoon usually do really cute ones. My friend has a boy though I couldn't find any nice ones for him which was a shame. I love how Muddypuddles is unisex. I love muddy puddles products. Extra pair of socks and a thermal vest is ALWAYS put on! Layers are good, but I always ink it's most important to keep the hands, feet and head covered, a really good warm hat, double up on socks, and thermal gloves....I always carry spare gloves as kids get them wet so often! Hat, gloves and scarf are essential. Hi Shirley. Thanks for letting me know. I've checked it on rafflecopter and assuming you've commented under your name (Shirley Young) I can confirm that you have 20 entries of which 9 are free daily entries. Last of which one was today. So it appears to be working in terms of entering but there is obviously some sort of a problem with showing on the app here :( that's nothing I can help with but just letting you know that your entries have been registered normally and count in the giveaway! Ooo these look good and we're in the market for our skiing holiday in March! We love Muddy Puddles and have been using them for about 5 years now. Gorgeous photos! Start with thermals. Add layers (tucked into each other). Make sure hands and feet are cosy. Mittens are warmer than gloves. I've always put tights on my little boy during the colder wether - he can't just pull them off! I have a great set from tiny trolls of Norway which allows me to layer my daughter up and keep nice and warm! T-shirt, jumper, coat, gloves, hats, scarfs. If its extra cold I put tights under my daughters trousers and joggers under my sons jeans. Lots of thin layers and be aware when they are playing they get hot. I would love to know, my toddlers always take off their hat and mittens when we are out in the pushchair! My tip is to sew a long string to each mitten and then thread it through your child's jacket arms so that they are right there when they put on their coat. Dress them in layers, they can take off when running about. They get hot quickly, but once they stop they need to put them back on not to get chilled. Padded all-in-one suits are wonderful as they are much quicker than layers to put on. lots and lots of layers! 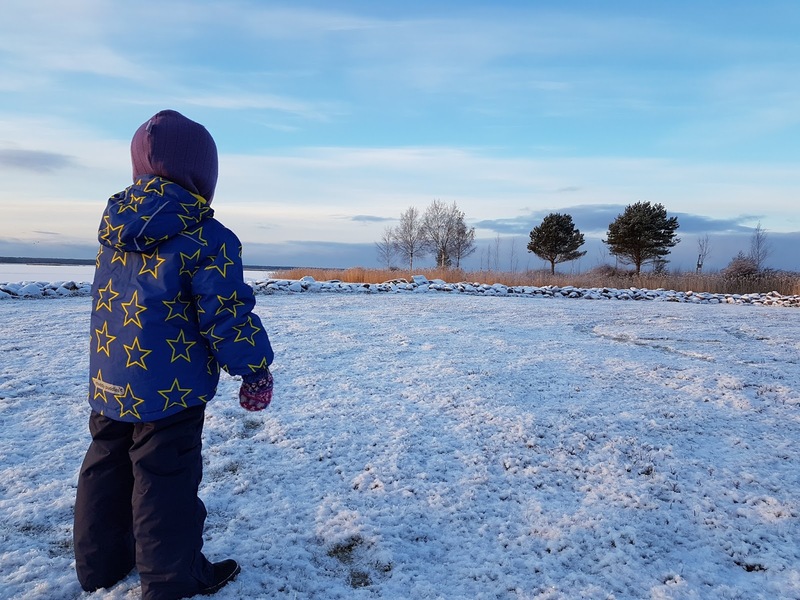 I think layering is always important dressing children ready for the cold and ensuring they wear a hat, scarf, gloves and woolly socks when they go outside. I normally get it all wrong when trying to dress the kids for cold weather so this jacket would be a great help. Layers, underwear, clothing such as jumper and trousers, good quality warm anorak with fitted / adjustable hood. Hat, gloves, scarf, warm waterproof boots. Waterproof items can often be beneficial.Need to bear in mind change of enviroment e.g shopping centres can be warm, therefore removing or loosening coats etc may well be required, till once again about to venture outdoors.